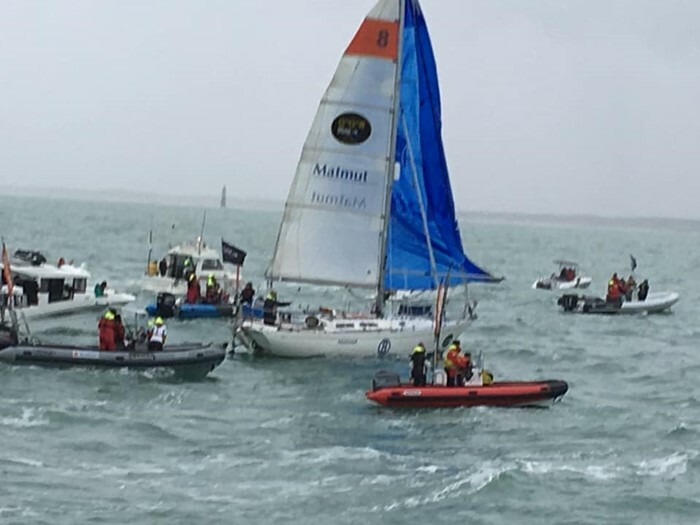 Solo skipper Jean-Luc Van Den Heede crossed the finish line aboard his Rustler 36 Matmut this morning at Les Sables d’Olonne after 212 days alone at sea. A flotilla of boats escorted him into port while hundreds cheered from the quay. He was met by Honorary OCC member Sir Robin Knox-Johnston, who won the original 1968-1969 Sunday Times Golden Globe Race, the only entrant to complete the race. Knox-Johnston congratulated Van Den Heede highlighting that, at 73, he now holds the record for being the oldest person to complete a solo round the world yacht race. This is Jean-Luc's sixth circumnavigation.